The ghast is a creature taken from humankind鈥檚 most primal nightmares. Unlike their lesser cousins, ghouls and necrophages, ghasts are not patient enough to wait for their victim to die from poison before consuming the body. 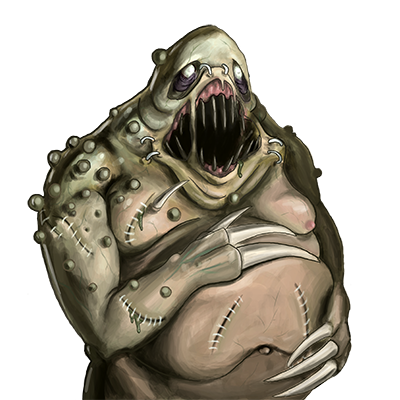 They attack directly with their enormous mouths, trying to rip the flesh straight from their foes. Once their enemy is defeated, they eat the rest of the body, gaining strength in the process. 饜憰饜憪饜懅饜憱饜懇饜懁 饜懐饜懘饜憫饜憰:饜憺 饜憹饜懄饜憭饜憫饜懇饜懃饜憻 饜憹 饜憺饜懄饜憰 饜懣饜懐饜懄饜憫饜憰 饜憪饜懚饜憻饜懇饜懐 饜憿饜懄饜懁 饜憭饜懇饜懐饜憫饜懄饜懐饜懣饜懇饜懁饜懄 饜憫饜懕饜憭 饜憶饜懆饜懃饜懄饜憽 饜懗饜懐饜憫饜懄饜懁 饜憺饜懕 饜憭饜懆饜懐 饜憵饜懓 饜憭饜憳饜懌饜懠饜憶 饜懄饜懐 饜憫饜懍饜懐 饜懝 饜憵饜懖 饜懇 饜懣饜懐饜懄饜憫 饜憿饜懄饜憲 饜憭饜憳饜懌饜懏饜憻.饜憺饜懄饜憰 饜懣饜懐饜懄饜憫 饜憸饜懕饜懐饜憻 1 饜懀饜懄饜憫饜憪饜懚饜懐饜憫 饜懆饜憶饜懇饜憶 饜憫 饜懄饜憫饜憰 饜懃饜懆饜憭饜憰饜懄饜懃饜懇饜懃 饜憿饜懅饜懐饜懅饜憹饜懠 饜懄饜憫 饜憭饜懄饜懁饜憻 饜懇 饜懁饜懄饜憹饜懄饜憴 饜懣饜懐饜懄饜憫.